Siliguri Hotel,Good Food, Car Rental, Quality Food in Siliguri, Siliguri Restaurant. MY INFOLINE™ is a Online Business Directory. Our core mission is to ensure that these values remain center-stage, and continue to keep India an exceptional nation. Our strategy is to engage with like-minded people in our great Nation and around the World, who are willing to acknowledge Indian Ideals that have contributed to our nation's greatness and to speak with courage to the issues that do not. 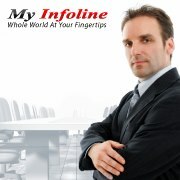 MY INFOLINE™ is a online business directory and a search engine for locating professionals, businesses, organizations and institutions that have stepped up to the task - they are our Commerce-Partners, they "wear" a badge of HONOR, the (SRT) seal of acknowledgement for being a Socially Responsible Trade.